In Brazilian Jiu Jitsu, taking your opponent’s back can be one of the greatest and most effective ways to win a match. However, taking your opponent’s back can sometimes be easier said than done. This is where the good ol’ arm drag comes into play. 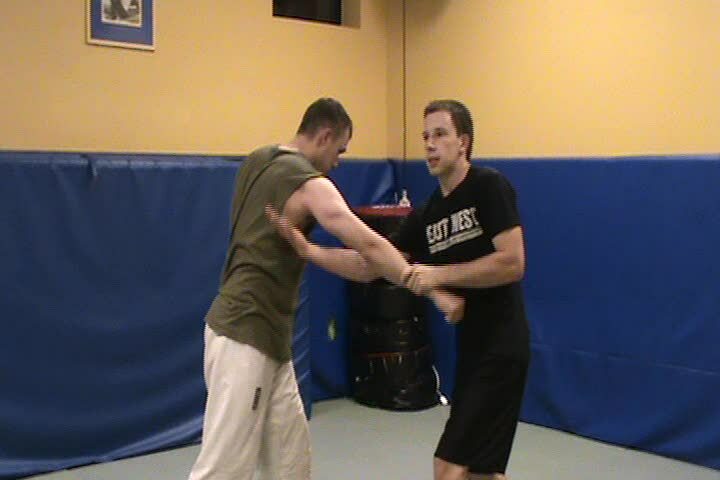 In this image, one student is executing the arm drag from a standing position. Note that this technique can be preformed standing or seated as well. However, possibly the most important benefit of this technique is the fact that it offers you a direct path to the back. There are hundreds of techniques in Brazilian Jiu Jitsu, but few techniques even come close to the arm drag when it comes to changing the outcome of a BJJ match in the blink of an eye. If executed the right way, you will go from open guard to back mount before your opponent even knows what you are attempting to do. This is a technique that is preformed while playing the open guard position, so before attempting this, you should make sure you are in a distanced and reactive open guard. Get a firm grip on your opponent’s same-side wrist. (ex. grab his right wrist with your left hand, and vice versa). With your other free hand, reach under your opponent’s arm pit (the same arm you are gripping) and firmly cup the outside of the tricep/deltoid. Drag the arm towards you so your shoulder and your opponent’s shoulder are touching. When I first learned this technique at Black Diamond MMA, it literally blew my mind. I never thought that getting back mount could be so easy, and I didn’t even have to pass the guard or waste valuable energy to do it. It was a milestone in my Bjj repitoire. You can even catch me drilling this one in the gym with my coach and head instructor Dan Faggella on a regular basis. It is truly one of my favorite techniques. The arm drag is used by all types of BJJ players. Whether you are a white belt who is beginning to learn the basics, a seasoned purple belt, or even an expert black belt, this technique is relevant and trustworthy. One Brazilian Jiu Jitsu practicioner, and arguably one of the best living grapplers alive today, Marcelo Garcia, uses the arm drag quite frequently. Not only does he use it frequently, but he uses it with precision and finesse. Here is a video of him executing an arm drag at the 2003 ADCC Grappling tournament, one of the most prestigeous and honorable tournaments in the world. As you can see, Marcelo dominates his opponent by using the arm drag technique and attains a quick submission victory. Remember the key points here! Arm drags are fast, effective, work on anyone, and offer a direct path to your opponent’s back.